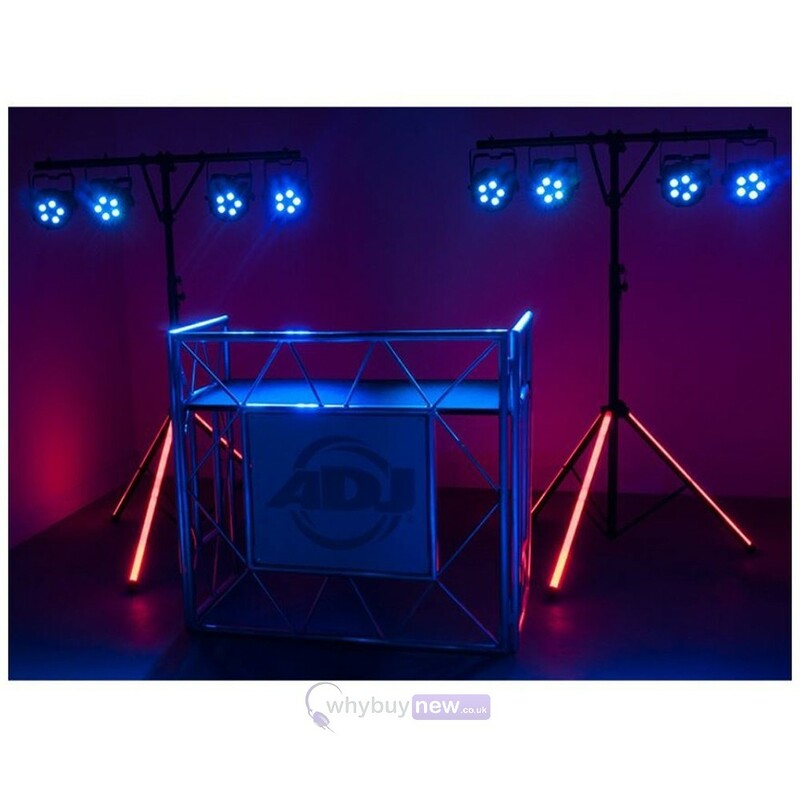 The American DJ LTS Color is a lighting stand with a unique twist. 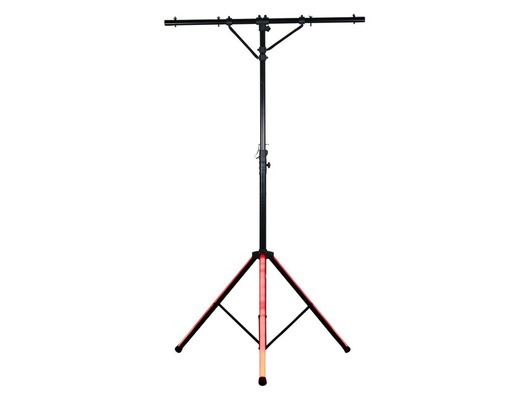 Not only does it act as a normal lighting T-Bar stand it also has LED lighting built into the legs of the stand! This means that even your stand can now add an extra bit of flair to your current lighting show. The stand has 22 dynamic modes along with 20 static colours so it can it work in any situation. 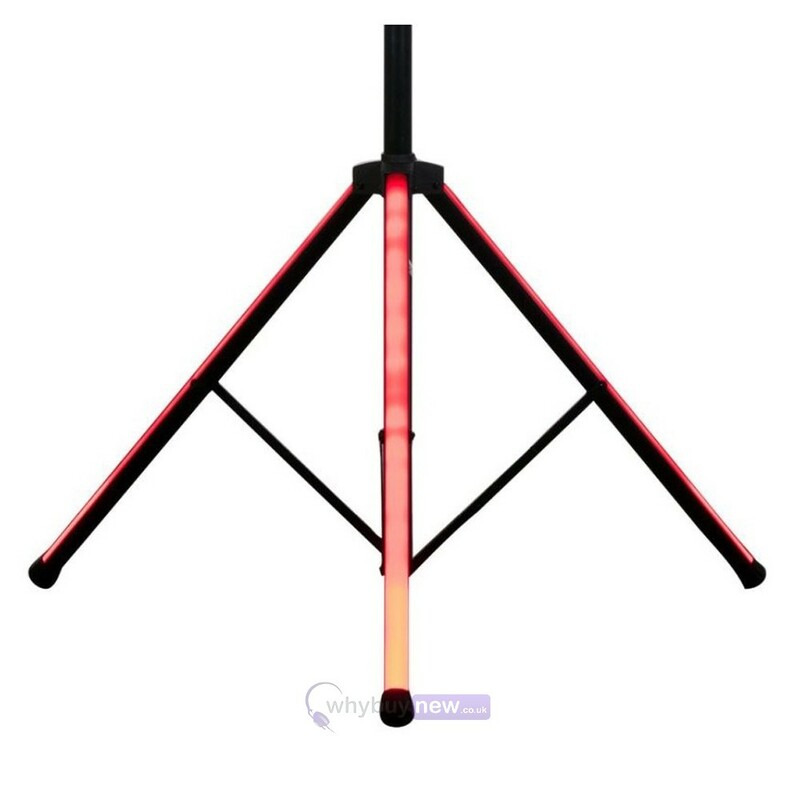 The LTS Color is a lighting T-Bar stand with LED lighting built into the tripod legs. 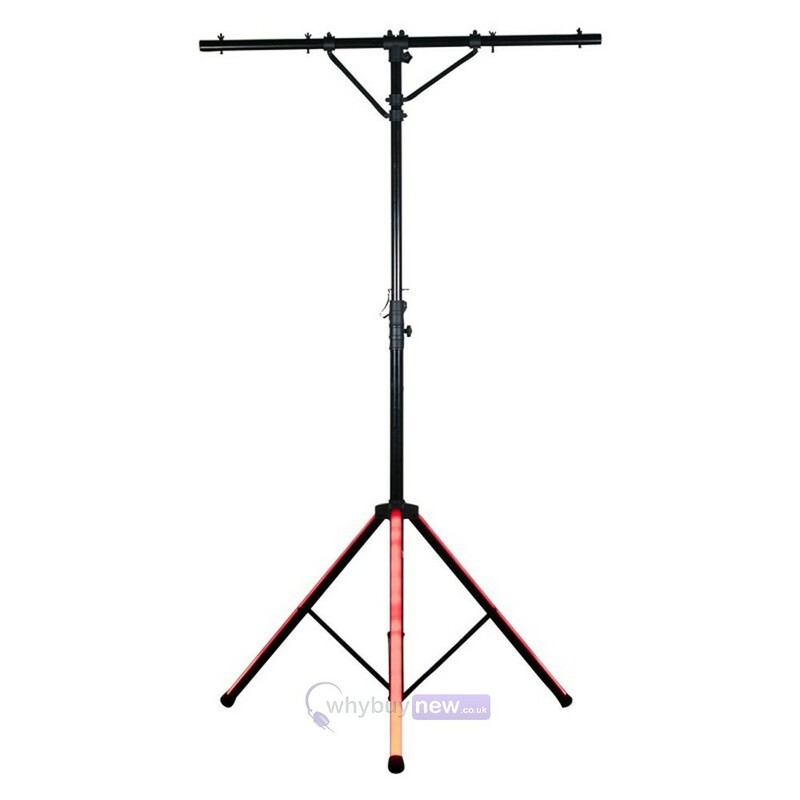 The stand is made of sturdy steel, while the legs are constructed from robust opaque polycarbonate and contain a series of multi-color LEDs. These are used to make the legs glow in 20 different static colors. 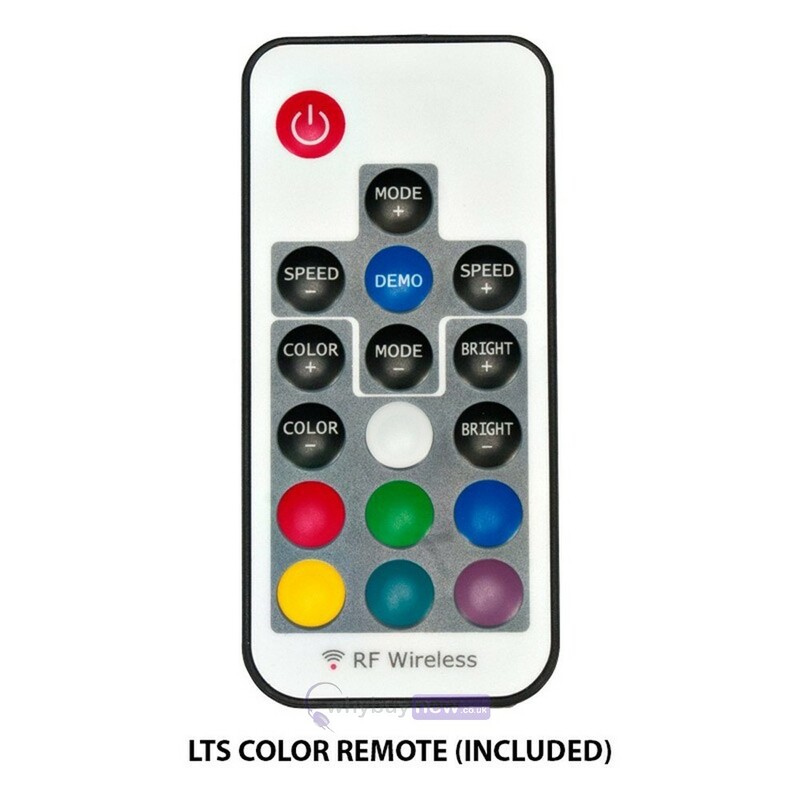 Color change, variable speed and brightness is controlled by the supplied wireless IR remote.